Most people want to provide for their families after death and want to know that someone will act on their behalf if they become incapacitated. However, many people put off creating an estate plan. Some Nevada residents have the misfortune of knowing they are near death. Fortunately, however, this provides them with the opportunity to engage in estate planning while they are still able to do so. First, it would be beneficial for an individual to prepare for the possibility that making decisions could become impossible. Medical directives will outline a person’s wishes regarding end-of-life treatments, and a health care power of attorney will appoint a trusted person to ensure those wishes are carried out and to make any decisions based on those wishes that need to be made. A durable power of attorney will allow someone to make financial decisions. The powers granted in that document can either be limited to certain matters, such as paying bills, or broad enough to allow for the handling of all financial matters, such as selling property, if needed. Avoiding the probate process can still be accomplished as well if that is the goal. Trusts can be created in order to hold the assets and distribute them in accordance with the individual’s wishes. The assets in the trust will not have to go through probate. However, it is imperative that the trust is funded as quickly and efficiently as possible. 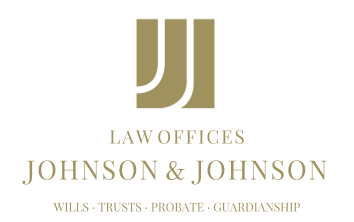 Any assets that are not transferred into the trust will likely have to go through probate. Estate planning is flexible enough to accommodate a variety of needs. The plan can also be created, updated or modified so long as the Nevada resident has the capacity to understand and execute the documents necessary to express his or her wishes. Having a valid estate plan in place during such a challenging time could provide the individual and family members peace of mind.